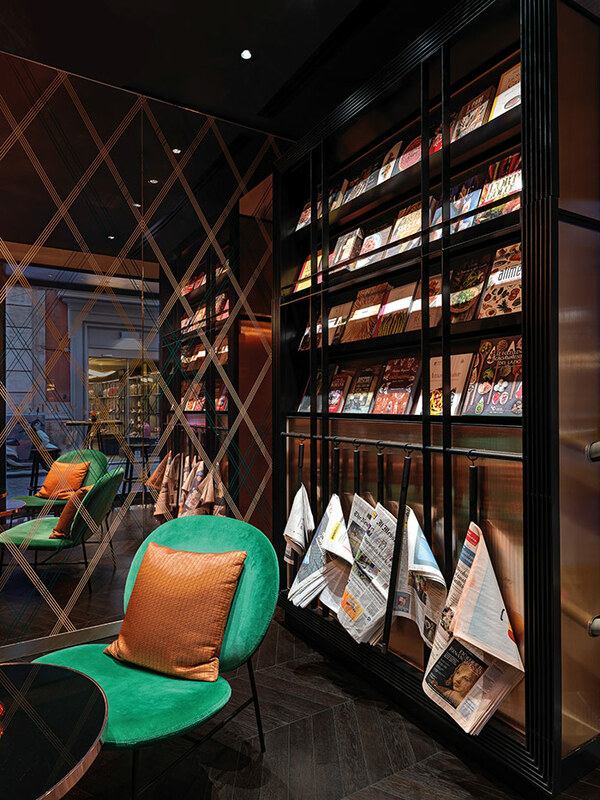 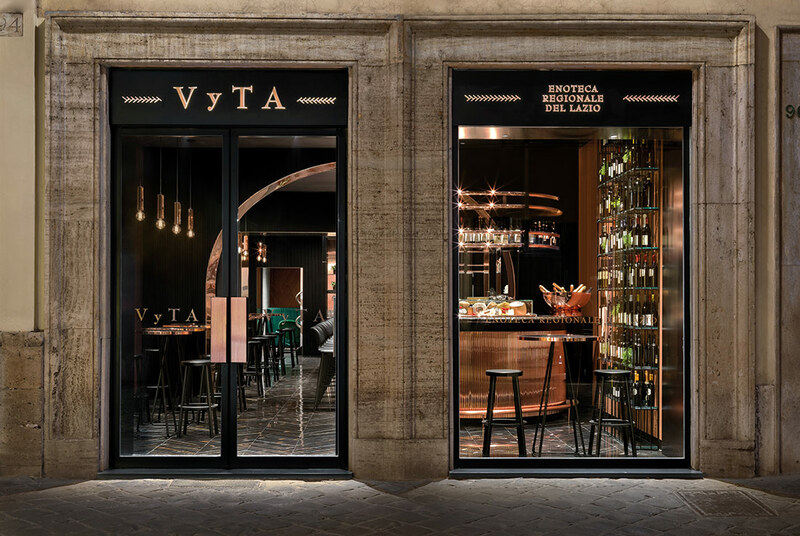 The VyTA enoteca regionale del Lazio, located in a listed building in Rome, was conceived with the aim of enhancing the brand and the food and wine culture of the Lazio region. 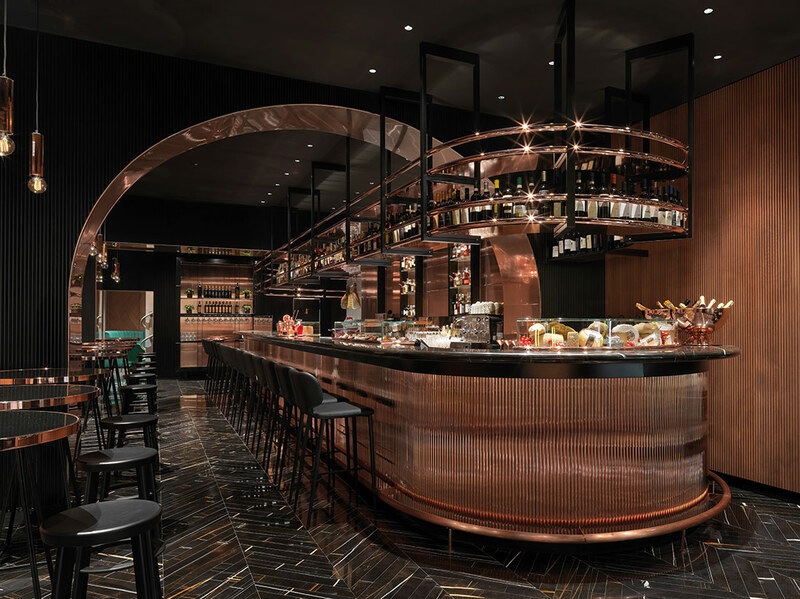 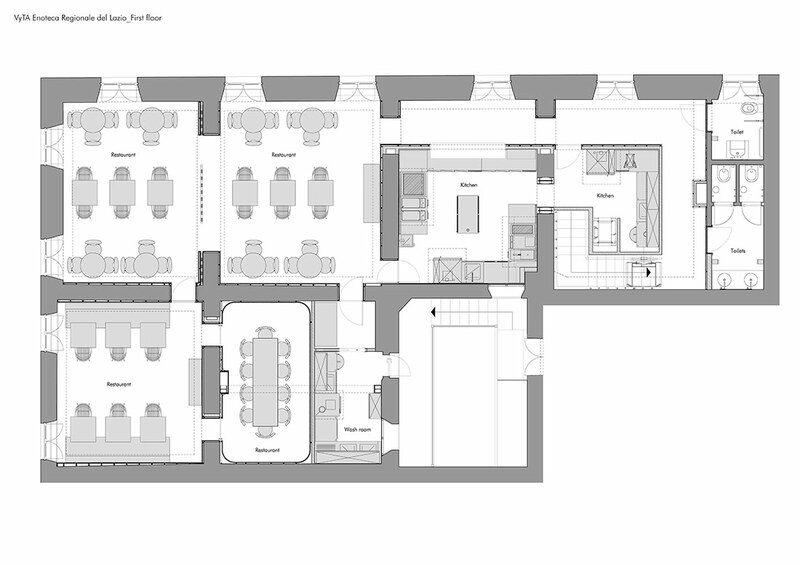 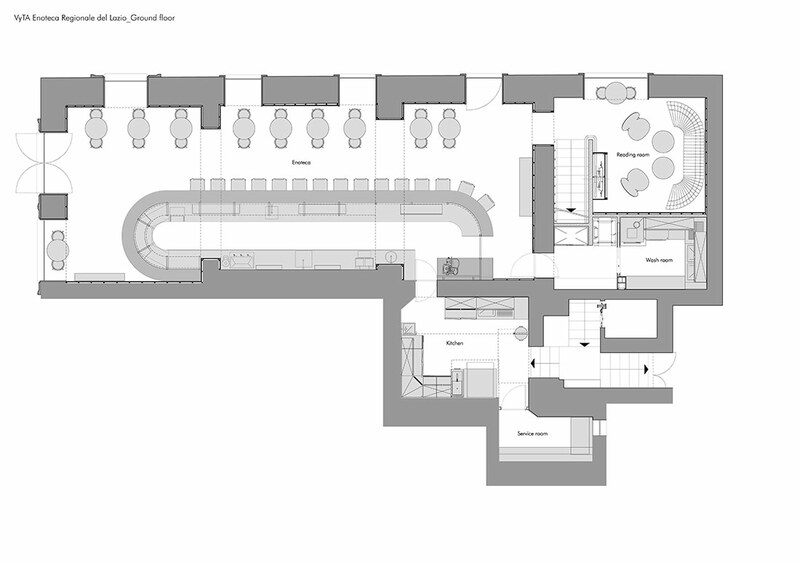 It is the fruit of a public-private partnership in a space with a strongly connoted contemporary design, which balances the building’s historical heritage and contemporary creativity, to welcome wine and food lovers to meet, eat and drink. 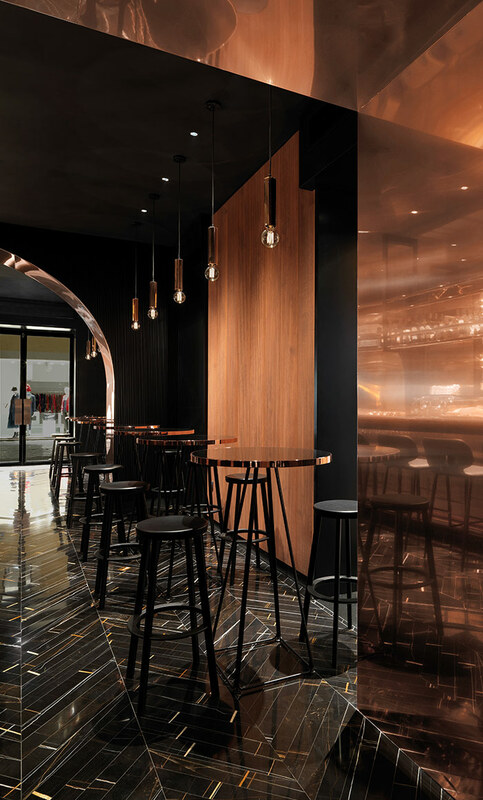 Precious materials such as wood, pink copper, glass and velvet enshroud contemporary environments in an intimate and welcoming atmosphere. 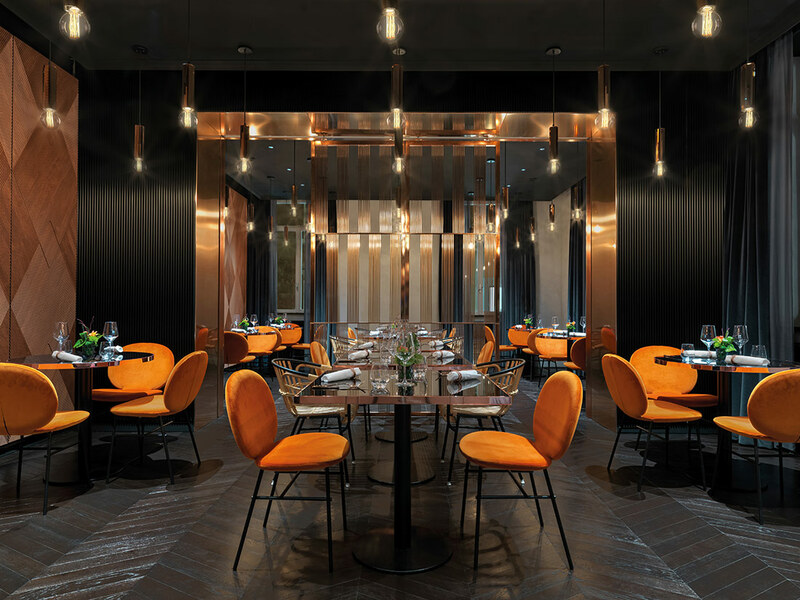 Decorative claddings with geometric patterns in beech wood contrast with rough concrete walls, while pink copper elements sparkle on enveloping black surfaces. 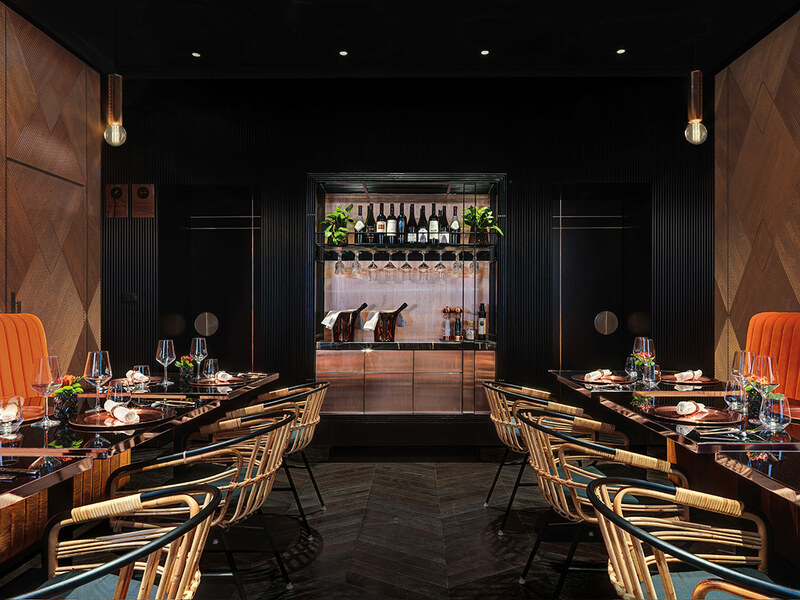 Surprising in its strong expressiveness inspired by the early 20th century, VyTA, is a versatile and dynamic venue, where different souls are combined: the conviviality sparked through the ancient gesture of the wine and a concept of hospitality adaptable to every moment of the day.